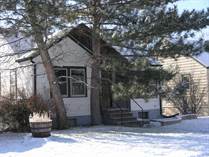 "2.9 Acres with Tremendous Potential"
"price Reduction Makes This A Tremendous Value"
"Now located in the City"
"A Little Work and You Have Made Money"
"Tremendous Opportunity to Gain Equity "
Listed below are just some of the homes for sale in Cheyenne. If you have a dream home in mind, but not the patience to muddle through an internet home search, let me do the work for you. In 20 minutes I can put together a great list of homes for sale that meet your unique buying requirements.